Tujunga, CA – Competition Motorsports will team with Calvert Dynamics to enter a strong four-driver lineup for the National Auto Sport Association’s 25 Hours of Thunderhill in pursuit of the overall victory. 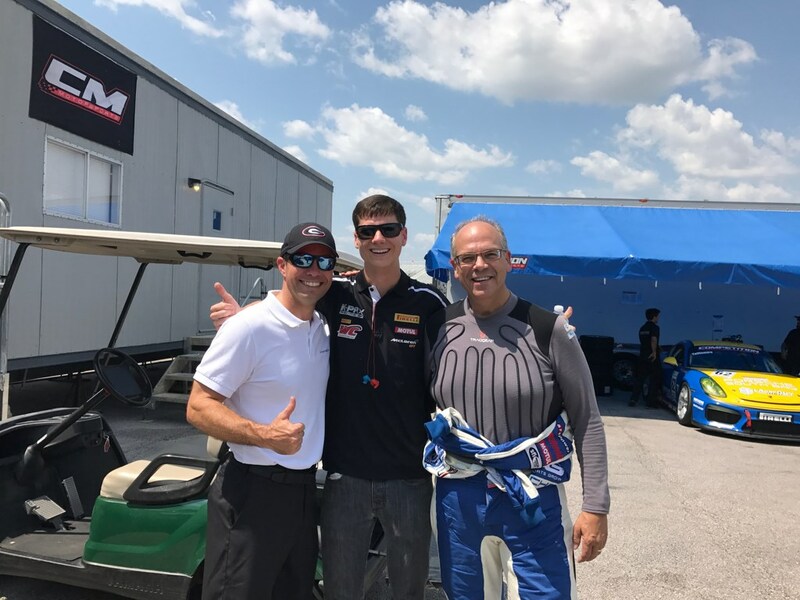 Preston Calvert will team with sports car standouts Andrew Davis, Michael Lewis and Kurt Rezzetano, who will all share time behind the wheel of the No. 73 Porsche 991.1 GT3 Cup entry for the 25-hour test of team and car. The GT3 Cup machine from Calvert Dynamics will race on Yokohama rubber and will be prepared by Bob Faieta and his team at Competition Motorsports, who are very familiar with the Porsche platform, making a name for themselves in GT3, GT3 Cup, and GT4 car preparation and track support over many years, with 18 cup cars under their current management. 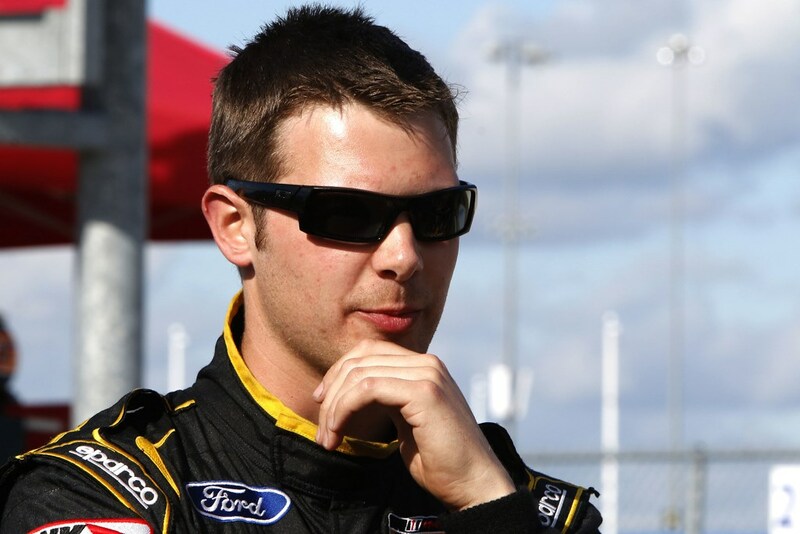 The driving lineup is a showcase of a lengthy resume of pro experience, with Andrew Davis a long time front-runner in IMSA competition and 2011 Rolex GT Champion. Kurt Rezzetano is a race winner in Pirelli World Challenge GTS competition in a Ford Mustang from Phoenix Performance and Calvert Dynamics, while Michael Lewis has been a constant threat at the front of the field in World Challenge as well, with multiple GT class wins in the Porsche GT3-R.
“I’m blessed with three of the best pro sports car drivers in the country as my co-drivers. If I can hold up my end of the driving duties, we will have a good chance to win.” said Calvert. Calvert is coming off his first full season in Pirelli World Challenge GT3 competition in the stacked GTA class, and has accumulated extensive experience in the GT3 Cup car, including multiple PWC class wins. He also drove the GT3 Cup car in the Pirelli GT3 Cup Trophy series this season, with multiple class wins there as well. Of note, Calvert has paired with each of his three co-drivers individually over the past few years, but has never brought them all together under the same tent in the same car. Calvert also announced earlier this month he will race another full season in Pirelli World Challenge in 2018, signing to drive the Panoz Avezzano GT4 for Team Panoz Racing. The team is expecting to conduct somewhere between 16 to 18 pit stops, with a fuel stint somewhere in the range of 90 minutes. Competition Motorsports has been busy preparing the car, replacing wear items and also installing a lighting package. There will also be significant lighting in the pits for the team, which is preparing to split driving time equally across the four drivers. The 25 Hours of Thunderhill has become a traditional end-of-the-year event. Known as “Survive the 25,” the race is a grueling test of teams, preparation and the physical and mental ability of drivers and crews, with temperatures expected to drop overnight to near freezing levels. The event is held annually on the first weekend of December and is sanctioned and promoted by NASA. Calvert Dynamics, LLC is focused on human factors and medical issues in motorsports. This emphasis especially includes visual attention and visual processing that determine driver performance. In addition, Calvert Dynamics promotes awareness of the importance of minor traumatic brain injury in motorsports performance and driver well-being. Founded in 2006 by Bob Faieta, Competition Motorsports has grown into the premier west coast Porsche GT3 Cup Car and GT4 Clubsport race and maintenance facility. Competition Motorsports takes pride in its attention to detail through fair and honest service. 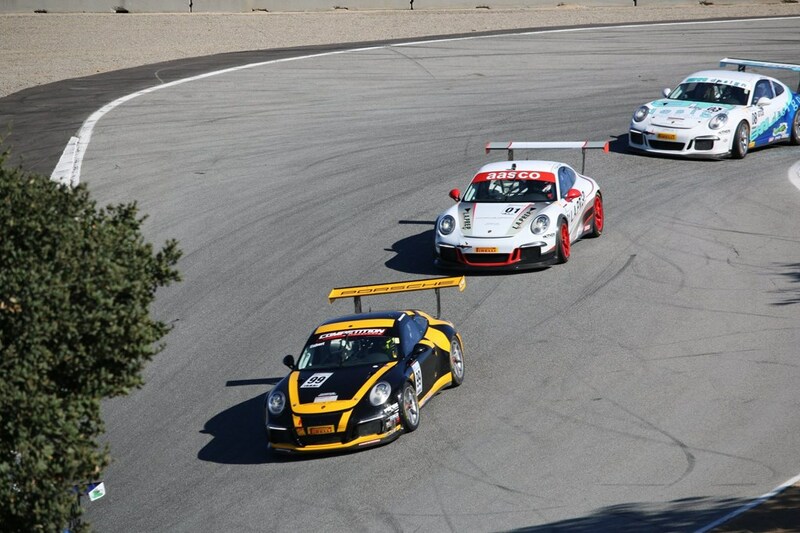 Unlike our competition, Competition Motorsports only tunes on Porsche GT3 Cup cars and GT4 Clubsport race cars. We offer complete maintenance, track support, fabrication, dyno, and service parts for all newer generation cup cars. Our track support packages cover everything from driver coaching, data acquisition, and family oriented track days. With three Porsche IMSA GT3 Cup Challenge, USA championships and one Pirelli GT3 Cup Trophy, USA championship under our belt, our experience on the track speaks for itself. This entry was posted in News on November 22, 2017 by admin.